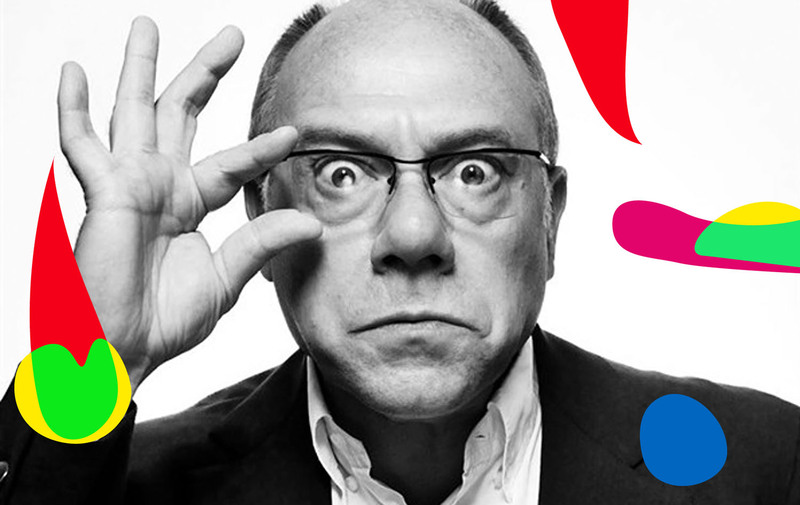 Carlo Verdone is one of Italy’s leading comedians, screenwriters and film directors. 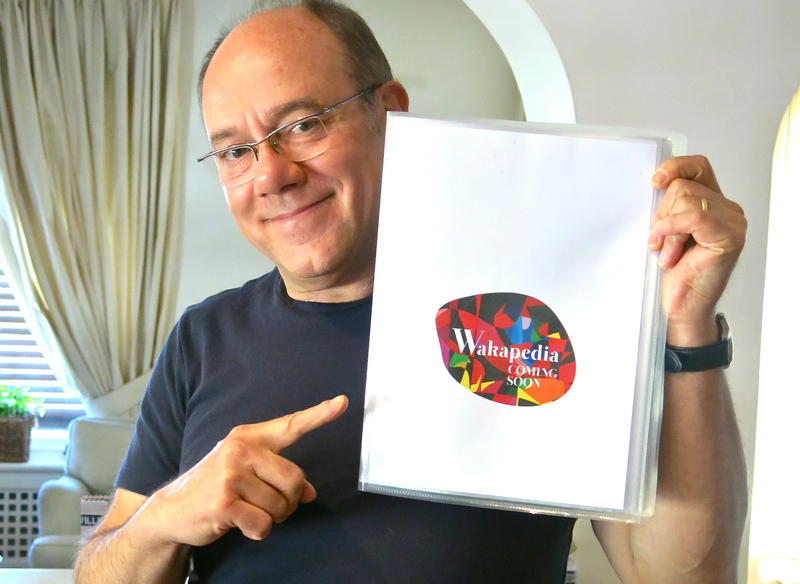 Born the son of the famous film critic, Mario Verdone, from a young age he was surrounded by world famous actors and directors including Federico Fellini, Cesare Zavattini, Pier Paolo Pasolini and Alberto Sordi. Having gained his masters in film direction at Europe’s oldest school of film, Rome’s Centro Sperimentale di Cinematografia, he entered the world of television during the 1970s. In 2005, he featured in the smash hit Manuale d’amore (The Ages of love/Manual of Love), as well as its sequels in 2007 and 2011. In 2013 he appeared in Paolo Sorrentino’s academy award-winning The Great Beauty. “Are you Japanese? You’d never guess, but I have the picture Yoko Ono painted immediately after John Lennon was shot.” No mention of the plaster cast; he had SaraWaka’s attention. A Yoko Ono painting? Who is this person?!? She didn’t recognize him at all. Having heard the introduction, SaraWaka wanted to hear what else this petit-bearded uncle had to say. And then, after a short while, the pieces fell together and our heroine figured out his identity. Now, you cannot not contest that Carlo is top-level comedian in Italy, but SaraWaka would have to confess that she was yet to see any of his work. And on top of THAT, on The Great Beauty set, he was rocking a short beard and specs, so it wasn’t exactly her fault that she didn’t clock him straight away. Being a pro though, SaraWaka didn’t let on mid-conversation that the penny had finally dropped, and talked as if she was on board from the get-go. As the Japanese proverb says, fake it ’till you make it. She later found out that Carlo busted her the second he asked about one of his works and SaraWaka was unable to make any comment of note. Ever-classy Carlo, though, didn’t hold it against her and shortly after DVDs of all his films and a book he had written arrived at the Waka family home in Milan. It reminded Sara of being set extra homework when she was a naughty girl at school…. But, with each movie watched, her love for Carlo grew and grew. Even now, if SaraWaka needs someone to run some ideas by or someone to bemoan the state of life and love to, she has Carlo Verdone, Italy’s very own Takeshi Kitano. From being a strange man in beard and specs, he now feels like SaraWaka’s very own uncle. 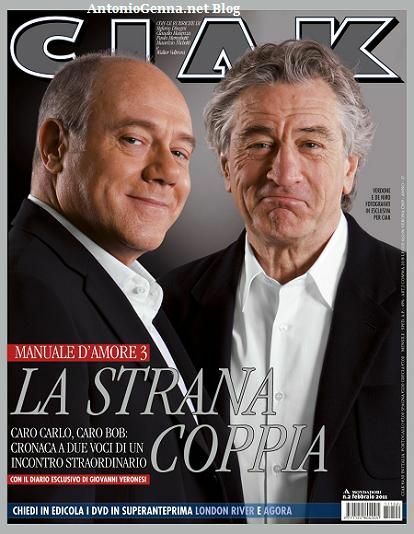 SaraWaka: Ciao Carletto!! [yeah, we’re close enough for pet names]! How are you? Carlo: Saretta [if you give, you have to take]! It’s been a while, I’m good. I’ve been awarded the Robert Bresson Prize at the Venice Film Festival! Usually it goes to famous authors or directors; I’m the first comedian! I can’t believe it. How are you?? SaraWaka: Hmmm… hard to say. I recently felt hard for someone, but it all came to an end three months in. So feeling a little bit down. I think I’ll leave love for a while now. Passionate love is a dangerous thing. Carlo: Woah! Passionate love, huh? That brings me back. I made a film called “Viaggi di Nozze” (Honeymoon) about three couples. One couple had too much ‘passionate love’ compressed into that short, intense time and came to know too much about each other. Upon their return from the honeymoon, all mystery was lost and their passion died. That was the story. Passion shouldn’t be poured too quickly or you risk drowning the love; take your time and pour it slowly. That is if you want you love to grow steadily over a long time. SaraWaka: So true… I think all the Italianista within me came out at once, perhaps a little too much. Saying that, all your films deal with love, right? For example, your role in “Maledetto il giorno che t’ho incontrato” (Damned the Day I Met You) was pretty much straight up you! Pretty goofy, a worrier [laughs]. You always go straight for some medicine when you’re anxious about something! SaraWaka: Yup, of course… [not too sure how that changes things…] So, for you Carlo, what is the ideal type of romantic relationship? Carlo: Mmm… Of course, mutual trust and common ground is important, I guess, but to become a well-balanced couple, I think it is best if both parties are bringing different things to the table. But, for me, if the same things don’t make you laugh, you’re done for. SaraWaka: Hmm… an answer worthy of a comedian! So how do you approach the ladies? We have an Italian celebrity in Japan called Girolamo Panzetta and he is very proactive in his lady-getting. How about you? Carlo: Hahaha, I am terrible when it comes to approaching ladies. I’m shy. I’m not particularly handsome. I’m the exact opposite of the Italian male stereotype. I wait for the lady to give away that she is interested in me, then I make my move. Until that point, I just try to work out what makes her laugh. SaraWaka: Okay. For you, the fact you are ‘funny’ is probably the appeal. Speaking of ‘funny’, what do you think of the Italian sense of humour? Carlo: Well that harks all the way back to the age of commedia dell’arte [BJ: apparently a form of improvised theater that stretches all the way back to the 1500s characterized by masks. Just nod along. Remember: fake it ‘till you make it], but I think it is something that us Italians are born with. Way back then, people would go to the theater to see comedy. Humor was expressed by masks and costumes. I think Italians are great at tackling societal problems with irony-filled laughter, but I suppose from the outside it may appear very shallow. SaraWaka: An answer worthy of the son of a professor of Rome University! You know everything! SaraWaka: Are you heavily influenced by your father? Carlo: My father established film history and film criticism as a field of study at Italian university level. Because of that, I was around great Italian directors such as Fellini, De Sica, Sordi and Pasolini as I grew up. SaraWaka: Wow! What a wonderful environment. I’m jealous. Your father was also a collector of art, right? Carlo: Yes. He loves art. He spent time researching the Avant Garde movement. SaraWaka: Really? Futurism and Dadaism? Carlo: Yup. Stuff like that. SaraWaka: Your father sounds like an interesting man. No wonder you’re interested in art and culture. 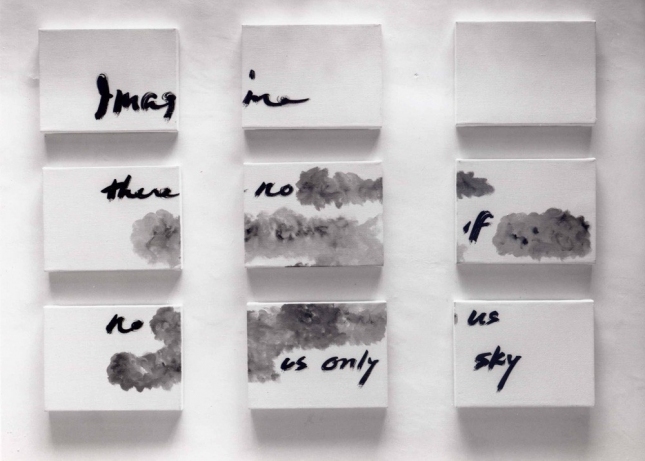 Oh yes… Yoko Ono’s artwork! Carlo: Yes! That was the piece she drew directly after John Lennon died. It has the lyrics of Imagine written on it, but so dragged down by sadness was Yoko Ono, she partially covered those hope-fuelled lyrics with clouds. A very interesting piece. I approached Yoko directly and after four years she agreed to sell it to me. She’s a very emotional, very intellectual lady. Carlo: I’ll go for the cheek then. SaraWaka: You had to confirm where beforehand, huh. That’s sooo Carlo! Carlo: Well, I am a pretty goofy, worrier, right!